Ever think you were going to win a big sale…and then you lost? Lost to the competition when you really should have won? Lost to no decision because the buyer didn't see the value or the urgency? Sure, you can't win 'em all. But you can certainly win more. With the right strategies, ideas, and approach, your win rate will go up. If you lead a sales team, the right strategies across the board will help everyone win more sales, and help you exceed your overall revenue goals. 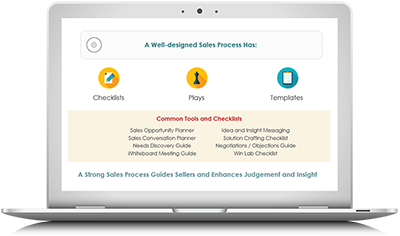 If you want your sellers to master their sales opportunities from the first touch to the close, this webinar with RAIN Group President Mike Schultz is an essential watch. He shares 5 recommended strategies that, when applied systematically, will help your team win more sales.